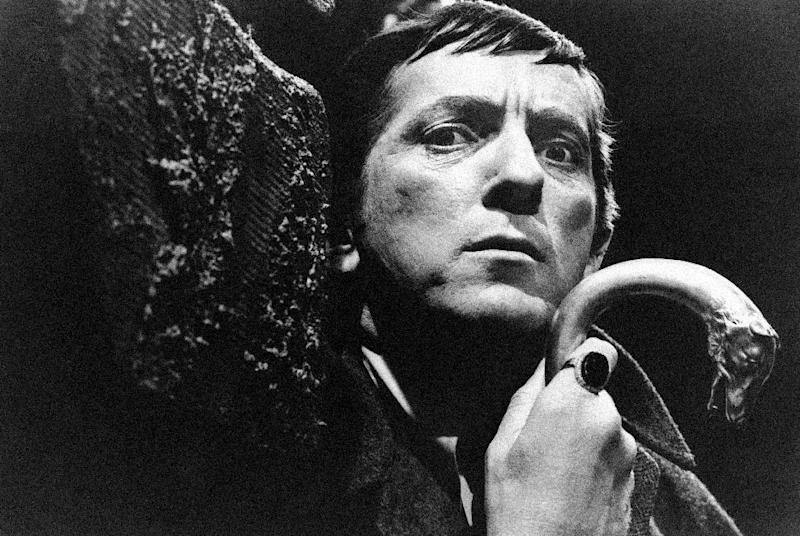 TORONTO (AP) — Jonathan Frid, a Canadian actor best known for playing Barnabas Collins in the 1960s original vampire soap opera "Dark Shadows", has died. He was 87. Frid died Friday of natural causes in a hospital in his home town of Hamilton, Ontario, said Jim Pierson, a friend and spokesman for Dan Curtis Productions, the creator of "Dark Shadows." Frid starred in the 1960s gothic-flavored soap opera about odd, supernatural goings-on at a family estate in Maine. His death comes just weeks before a Tim Burton-directed version of Dark Shadows is due out next month starring Johnny Depp as Barnabas Collins. Frid has a cameo role in the new movie in which he meets Depp's character in a party scene with two other original actors from the show. Pierson said Burton and Depp were fans of Frid, who played a vulnerable vampire in one of the first sympathetic portrayal of the immortal creatures. "Twenty million people saw the show at its peak in 1969. Kids ran home from school and housewives watched it. It had a huge pop culture impact," Pierson said. Pierson said Frid, whose character was added in 1967, saved the show and stayed on until the end of its run in 1971. He said Frid was never into the fame and fortune and just wanted to be a working actor. He said he loved the drama and finding the flaws and the humanity in his characters. "That's why he had this vampire that was very multidimensional. It really set the trend for all these other things that have been done with vampires over the last 40, 50 years," Pierson said. "Vampires were not in the vernacular. In 1967, there wasn't a pop culture of vampire stuff, so here he was in this mainstream network show that aired at 4 P.M. that really took off. And then he did the movie which was also a big hit." Frid had been an accomplished stage actor before "Dark Shadows" made him famous. The show has lived on in reruns. Stuart Manning, editor of the online "Dark Shadows News Page", said Frid brought a new dimension to the role of the vampire by injecting the role with depth and a sense of regret for his immortal existence. "Now that idea has been taken many times since — 'Twilight' uses it, shows like 'True Blood,' 'Buffy' — which again I think shows the influence 'Dark Shadows' has had," said Manning, who worked with Frid as a writer on the 2010 "Dark Shadows" audio drama spinoff, "The Night Whispers." The youngest of three sons, Frid served in the Royal Canadian Navy during the Second World War. After graduating from Hamilton's McMaster University, he got a degree in directing at the Yale School of Drama and studied at the Royal Academy of Dramatic Arts in London. Frid starred in various theater productions with illustrious actors including Katharine Hepburn. But it was his turn in "Dark Shadows" and its first feature film adaptation, "House of Dark Shadows," that made him a commercial success and kept him busy throughout his career with reunions, fan events and dramatic readings. He lived in New York for several decades before moving back to Canada in the '90s. His other credits include the 1973 TV movie "The Devil's Daughter," co-starring Shelley Winters, and Oliver Stone's directorial debut, "Seizure." He also starred in the Broadway revival and national tour of "Arsenic and Old Lace" in the '80s. Pierson said Frid been in declining health in recent months. At Frid's request, there was no funeral and there will be no memorial. "He really was kind of a no-fuss guy," Pierson said. Frid never married. He is survived by a nephew, Donald Frid.